The Regional Economic Development and Employment Strategy (REDES) is the long-term strategy to promote sustainable economic development and jobs growth on the Central Coast. It is a framework for collaboration to create the right environment for local jobs growth and a strong local economy. The three levels of government, business and the education sector collaborate to deliver REDES. REDES is implemented through a rolling 18 month Action Plan. Strategy Implementation Groups (SIGs) collaborate to implement the Action Plan. Each SIG has a lead organisation. 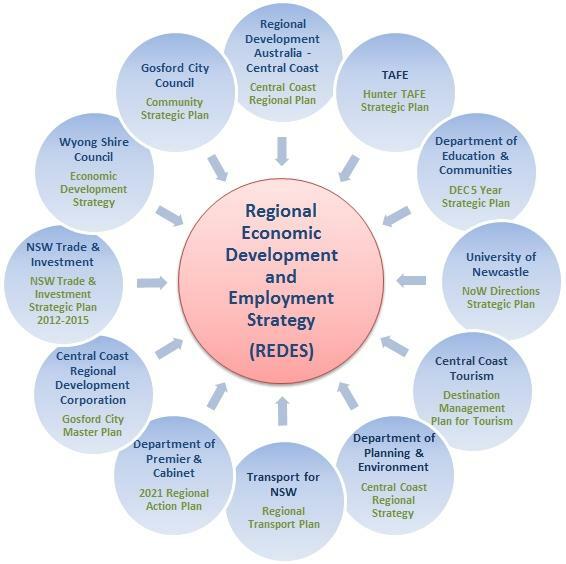 Regional Development Australia – Central Coast provides a coordination role for REDES. An Executive Group oversees REDES. 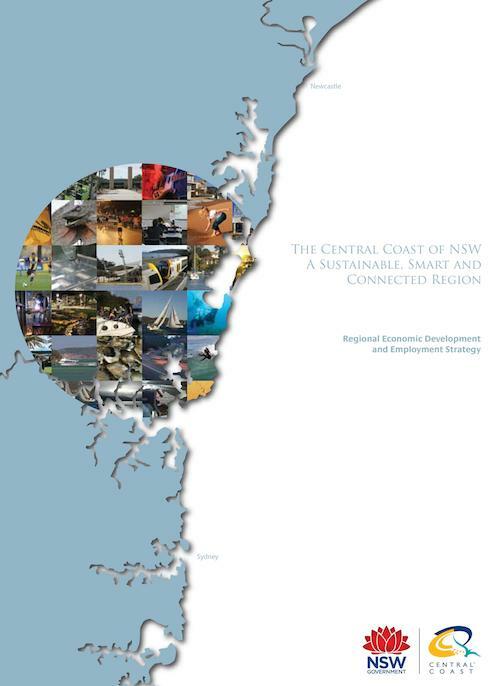 The Executive is chaired by the Minister for the Central Coast and includes the General Managers of Gosford and Wyong Councils and the Chair of Regional Development Australia – Central Coast. A growing recognition of the Central Coast as a business location. A continuing focus on job creation and skills development. A strengthening of partnerships between business and education. A continuing emphasis on innovation. A prioritising of key infrastructure to enable economic growth for the region.